I’m sure everyone had tried Worcester sauce, add some of the hottest peppers on the planet and that’s pretty much what you have here. When I first tried it I thought it was the original Worcester sauce with some heat added, its not. The Lurch is a product made from scratch by Mr Vikkis, a Worcester sauce replica that in my opinion tastes better than the original. 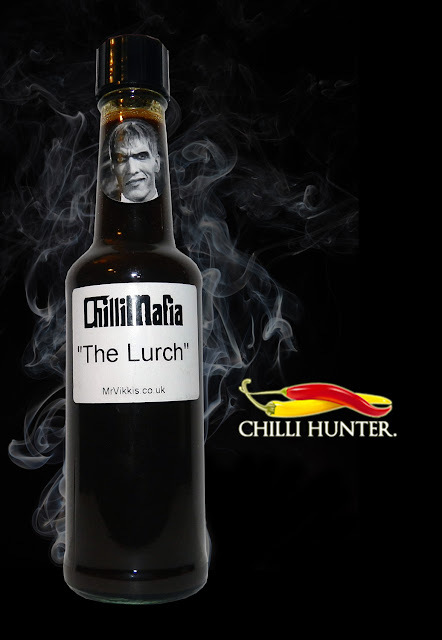 For those of you who don’t know ‘The Lurch’ is a nickname of the chilli foundry’s Chris Saunders. I’ve made the mistake of overlooking Mr Vikkis products, go have a look at the huge range of condiments, pickles, snacks & cooking sauces, something for every chillihead.